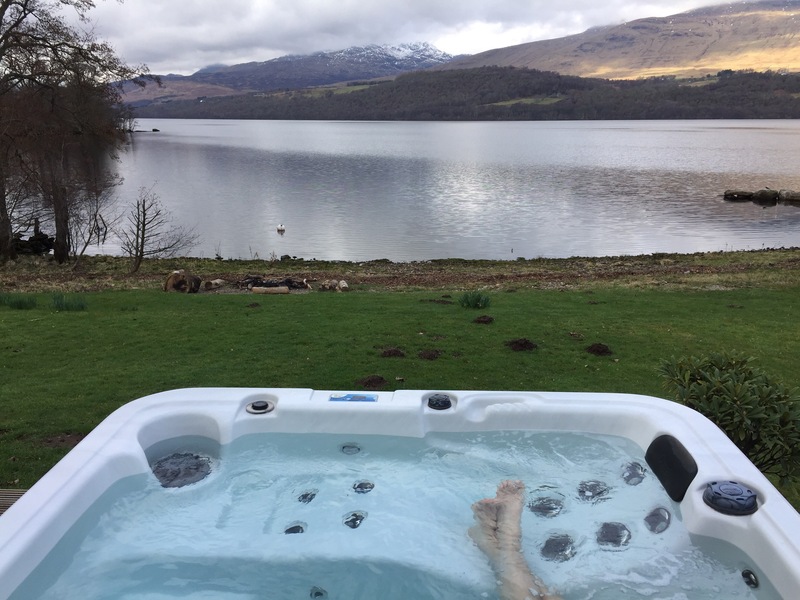 Hot tub with an amazing view over Loch Tay – what better way to refresh body, mind and soul? Word of the day (20) is water. Today’s picture is a memory, as it was taken last Easter, when we visited Chester Cathedral. 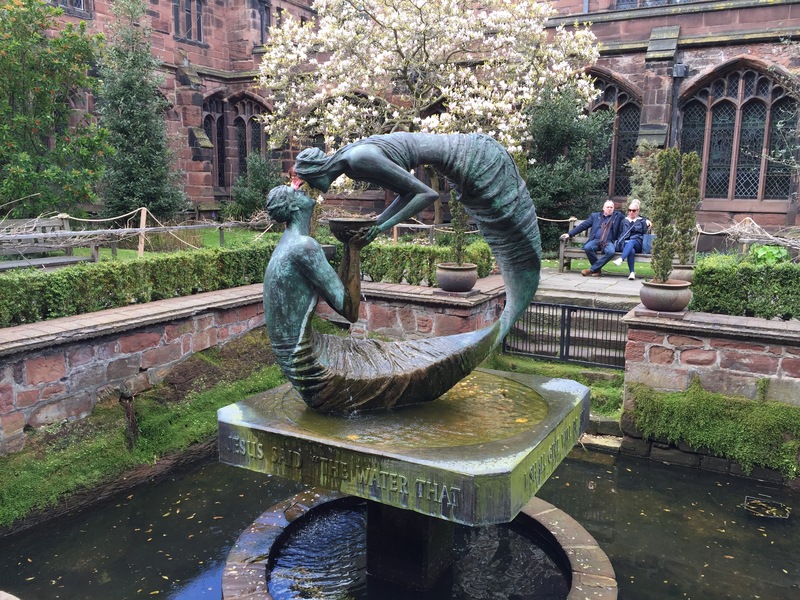 In the Cloisters of Chester Cathedral there is an amazing garden, with a sculptural water feature by Stephen Broadbent. The ‘Water of Life’ presents the life changing encounter between Jesus and the woman of Samaria (found in chapter four of John’s Gospel). The circular shape brings the two figures face to face, lending intensity and tenderness to the encounter. Water flows continually from the shared cup, over the hands and into the pool in the dish below, from where the sculpture is illuminated, through the water. Around the dish are the words:- ‘Jesus said “the water that / I shall give will be an / inner spring always welling / up for eternal life.” (John 4:14).